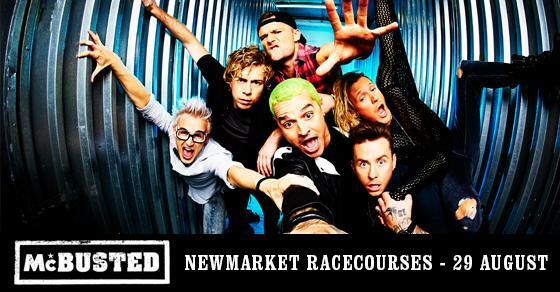 Following their current smash hit tour, McBusted have just announced a new date at Newmarket racecourse on August 29th. So you get to see an afternoon of top racing action and then see one of Britain’s finest pop acts (well, technically two of Britain’s finest pop acts sonically connected Human Centipede style, not literally luckily) storm it with classics from Year 3000 to Five Colours In Her Hair. At this point I could geek out about how brilliant McFly have always been when I have seen them, and hey, it’s my blog so I can. Bonus. I saw them on the Motion In The Ocean Tour and the Smash Hits Awards and Greatest Hits. Wonderland is one of those records that I always play to people who look at me strangely and question how I can like ‘that pop band’ as well as the rockier stuff. I often explain that the centre of Wonderland is a two part epic about a girl’s suicide. ‘She Falls Asleep’, an astounding song still. I just choose the stuff I love and McFly, from the first single, I have loved. Actually technically speaking, that first single was the first appearance of McBusted as one of the CDs had a version of Lola featuring the trio. Fun fact of the day there, you are welcome.